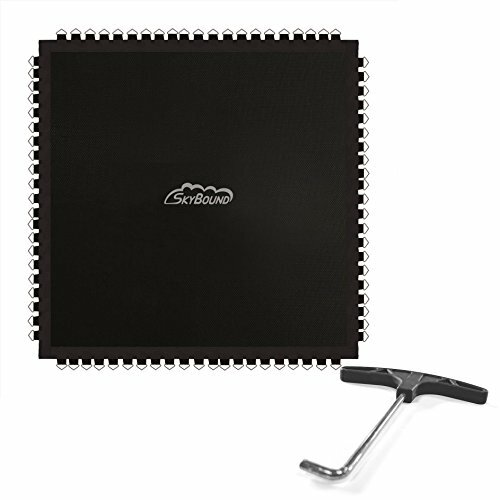 SkyBound 133'' (11' 1'') Square Trampoline Mat with 84 V-Rings, FITS 13 X 13' Frames, that USE 7.5'' Springs. (Fits Brands Skywalker) (Free Spring Tool Included) (Springs Sold Seperately) by SkyBound at Scruffs Game. MPN: M2-1384133000S. Hurry! Limited time offer. Offer valid only while supplies last. Fits 13 X 13 Ft. Frame Size Trampolines. Designed to Fit Skywalker Brand Trampolines.